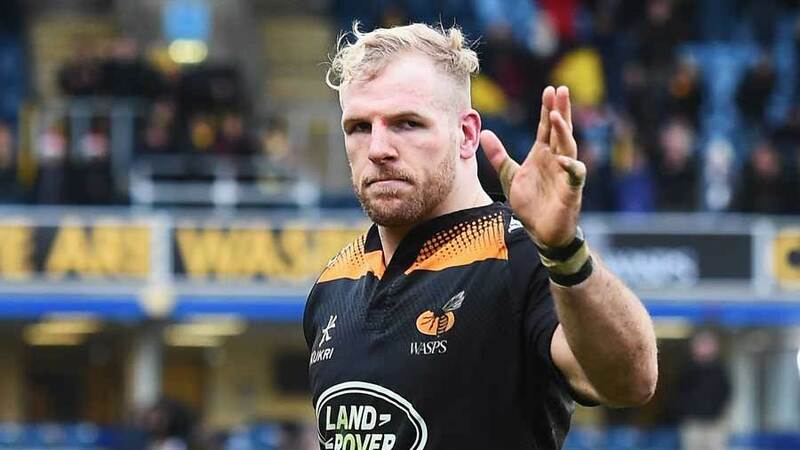 Dai Young says England must name James Haskell in the starting XV for their Six Nations opener against Wales labelling his Wasps captain as the "form back-rower" in the country. Wasps rugby director Young admitted he would "feel for" Haskell if he does not win a starting berth in England's Six Nations back-row. England face Wales in the Millennium Stadium on February 6 in their first return since a record 30-3 defeat that handed Warren Gatland's men the 2013 Six Nations title. Billy Vunipola should replace injured number eight Ben Morgan, leaving Haskell potentially competing with Tom Wood for the blindside jersey with captain Chris Robshaw inked in at seven. "I don't think he'll be shoved into eight, but I'd feel for him if he's not starting to be quite honest," said Young. "I think he's by far the form back-rower in England. I know I'm biased and I'm not pretending I'm not. "I know I'm biased and maybe one-eyed, I'm certainly not going to knock any of the other players because I think they're all real quality players. But for me I think he's probably the form back-rower at this moment in time." Haskell will have his final chance to state his Test case in club action when Wasps host Leinster in Coventry on Saturday with Champions Cup quarter-final qualification on the line. Young is adamant Haskell is the ideal candidate to cope with the intimidating reception awaiting England in Cardiff. "I do believe Wales' strength has always been their physicality, their power and their size, well Haskell is more than a match for that," said Young. "If you really want to meet fire with fire, he's certainly the guy that can stand up to that. "I'm not saying the other guys won't be able to, but he'd be in my team, put it that way. He can generally play right across the back-row, but what he has developed over the last 12 months mind is a really big strong carrying game. "His defensive ability from the day he came here has always been exceptional; his contact area work has always been exceptional. But the big areas I see he has improved out of sight are his carrying ability, he's one of our best carriers now, and his line-out ability. "He can play six and eight and be a line-out option as well. He's not a Paul O'Connell of course but he's an effective target now."